I am using a proxy server and am having difficulty connecting to your website. I am having trouble accessing documents while in my course. What is the return policy for web-based training licenses? I am not able to print my certificate. My employer has informed me that I have been assigned a course and should expect an email from Monarch. Why haven't I received any email from Monarch with my PIN and password? Are training certificates transferable from one company to another? I ordered the wrong course. Can I transfer to a different course? When do discounts apply to my purchase? Who decides when an employee is adequately trained to ship dangerous goods? Who should be trained in shipping dangerous goods? Who should be trained in WHMIS? Who decides when an employee is adequately trained under WHMIS? Where can I purchase copies of any of the regulations? Who completes and signs the record of training card? How do I get my record of training card? How do I get my wall certificate? Are you able to provide customized online training? How long do I have to complete the course once I have registered? Do I need to finish a program all in one sitting? Do I need to use the same computer to access the program? Please click on "Forgot your password?" immediately beneath the login boxes on the home page. Remember the password you were given for your first log in was a temporary password and that you had to change your password when you logged in for the first time. It is the proxy server itself that is causing the issue. Please let us know if this resolves your access issues. Please contact your IT department to inquire if there are any download restrictions placed on your computer/user name. Also, verify if you are using the latest version of your internet browser. This may require updating your browser. If using Internet Explorer, consider using a different browser, such as Mozilla Firefox. If the problem still persists. Please contact Monarch’s LMS Support at 905-628-6631. A refund request must be received within seven (7) days of purchase. A refund will only be issued if the request has been received within the seven days and the course has NOT been started. The refund amount will be the original payment minus our LMS administration charge. There will be NO refund provided if a participant has logged in to the program or the request is outside of the seven day time frame. I am not able to print my certificate. We believe that the issue is related to the version of Internet Explorer that is installed on your computer (Internet Explorer 8 or higher do not appear to have this issue). We have identified that the issue occurs when the My Certificate link in the side bar of your student home page is clicked. Click on the course link within the student home page. This should prompt the downloading of the certificate. Your company LMS administrator can print your certificate through the employer console (the person who provided you with the PIN and password for your course). If you are still experiencing difficulty printing the certificates after attempting both of these, it may be the permissions granted to your computer by your IT department. Please contact your IT department to inquire if there are any download restrictions placed on your computer/user name. Assignment emails are sent out from within the Monarch Learning Management System (LMS). Please verify with your company administrator that they have your correct email address entered in the LMS. A written request must be received. A transfer can only be processed if the course has NOT been started. There is an LMS administration charge for transferring courses. Additionally, the price difference between the two courses will be charged and/or refunded. There will be NO transfer abilities if a participant has logged in to the program. Discounts apply to each order that is place, at the time it is placed. Example: 6 courses ordered at one time qualify for the discount. Part 6 of the TDG Regulations stipulates that it is the responsibility of the employer to determine whether an employee is adequately trained. A determination, about whether an employee is adequately trained, may depend on the training such employee receives, for example, from Monarch. Therefore, it is important for an employer to enrol its employees in appropriate training courses in consideration of the employee’s duties, and the class, nature, and characteristics of the dangerous goods, for which the employee shall be responsible. The Transportation of Dangerous Goods (TDG) Regulations require that every person engaged in the handling, offering for transport or transporting of dangerous goods be trained adequately, unless otherwise noted. This includes management, warehouse employees, dispatchers, lab technicians, drivers, document preparers, etc. The nature of the training can vary due to the responsibilities of the individual. If you need assistance in course decisions, please call us at 1-905-628-6631. WHMIS requires that every person that works with or around hazardous materials be trained adequately for both general and workplace specific programs. This includes management, warehouse employees, dispatchers, lab technicians, drivers, document preparers, etc. The nature of the training can vary due to the responsibilities of the individual. If you need assistance in deciding which courses to take, call Monarch at 1-905-628-6631. It is the responsibility of the employer to determine whether an employee is adequately trained. 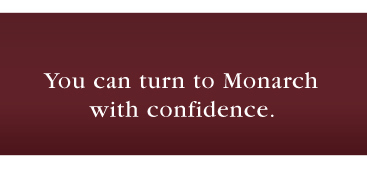 A determination, about whether an employee is adequately trained, may depend on the training such employee receives, for example, from Monarch. Therefore, it is important for an employer to enrol its employees in appropriate training courses in consideration of the employee’s duties, and the class, nature, and characteristics of the hazardous materials, for which the employee shall be responsible. 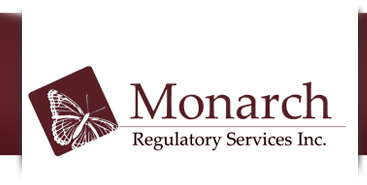 You can purchase copies of the following regulations direct from Monarch Regulatory Services. Call 1-905-628-6631 for more information and a quote. The employer signs the record of training card when they are satisfied that the employee is adequately trained. Additionally, the employer’s company has certain obligations and responsibilities that it must fulfill under the Regulations before they can properly complete and sign the record of training card; we strongly recommend that they are trained and understand their responsibilities before they complete or sign the record of training card. Upon completion of the course you will be able to print your certificate. Yes, for larger groups, we are able to customize online course content to suit the specific needs of a particular organization. The course will remain active until you complete it. However, it is important to note that once you start a course you should complete it in a timely fashion. By delaying completion you impact the ability for the information to be retained. No. The system will remember the last chapter you completed and start you there the next time you login. No. You can access your account from any computer that has an Internet connection 24/7.